The rebounds, the blocks, the rotations, the passes, the passion, the leadership – not even this is the Andrew Bogut the Warriors thought they acquired at last season’s trade deadline. That’s the scary thing for the rest of the league. 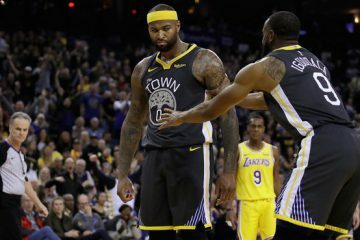 Raw, superficial numbers don’t show it, but – aside from Steph Curry, of course – no player has been more influential to Golden State’s surprising postseason run than its oft-injured center. Considering Bogut’s history as something close to a “no-stats All-Star” during his healthy days in Milwaukee, that doesn’t surprise. He’s never been an especially big or efficient scorer even at his best, and his peak per game averages as a rebounder or shot-blocker still won’t jump off the page to a casual fan. But the overwhelmingly positive nature of Bogut’s on-court impact has never come into question. Until his first season with Golden State, of course. The obvious caveat here is Bogut’s health, as Warriors fans well know. He isn’t free of nagging pain today, even as it’s likely this is the best he’s felt since last summer. So throughout the regular season as his play improved and the team’s did as a result (sometimes in surprising ways), Bogut deserved our patience. Trades aren’t lost in a single season and a player’s positive contributions aren’t, either; like anything else in the NBA, sample size and situation matters. It speaks to Bogut’s nearly unmatched basketball intellect that Golden State fared better during the regular season when he was on the court than on the bench. The Warriors overall net rating (offensive efficiency minus defensive efficiency) this season was a middling +1.7; with Bogut, that number spiked to a more playoff-worthy +2.8. So even though Bogut was clearly reduced and recovering, he still made Golden State better throughout the regular season. Now that the plodding, huffing and grimacing has all but noticeably subsided, he’s taken his game and his team to heights few thought possible. The postseason per game numbers are impressive: 8 points, 12 rebounds and a pair of assists and blocks in just under 30 minutes a contest. But when Bogut is at his true best, it takes a more curious and nuanced eye to see the full scope of his impact. That’s been true since game 1 of the first round, and it certainly was yesterday against San Antonio. With Bogut on the the floor during the postseason, the Warriors are simply dominant, scoring and defending at rates that would have ranked among the league’s season-long top three. When he’s on the bench? Let’s just say it’s been a far, far different story. Game 4 was a perfect microcosm of Bogut’s playoff clout. Plagued by foul trouble due to seldom-called moving screens, Bogut played just 5 minutes and 41 seconds in the first half. Not coincidentally, Tim Duncan scored 14 points, grabbed 8 rebounds and led the Spurs to a 45-37 lead at the break. But Bogut managed to stay on the court from that point on, playing 22 minutes and 7 seconds in the fourth quarter and overtime. 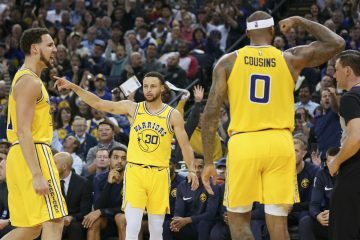 You know the team-wide tale – Golden State evened the score late in regulation and eventually won by 10 points, an 18-point second half/overtime swing. But Duncan’s numbers? 5 points and 7 rebounds on 2-12 shooting. 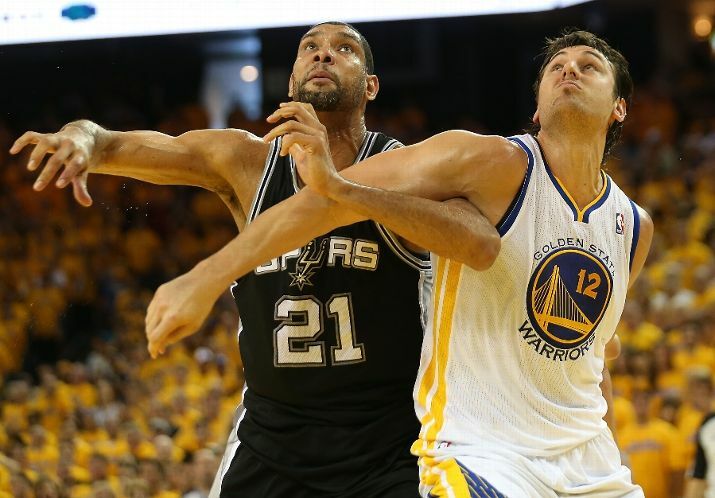 These things – Bogut’s playing time and Duncan’s struggles – are related. And all that is to say nothing of the Aussie’s 18 rebounds. But that’s the beauty of Bogut’s game – when he’s playing well, his dent on the scoreboard is just as sizable as the one he makes on the box score. He combines the best attributes of the game’s stat-head favorites and common stars into an impact seen through multiple lenses. Basically, he’s just a very, very good player. The odds are against the Warriors advancing to the Western Conference Finals. Taking two of three games without home court advantage against a seasoned foe like San Antonio is a lot to ask, especially from a playoff-green squad like Golden State. But go home or move on, Bogut is here to stay as one of basketball’s best two-way centers. And considering he still hasn’t found his footing as a scorer or free throw shooter, that’s as promising a sign as any for the Warriors future. 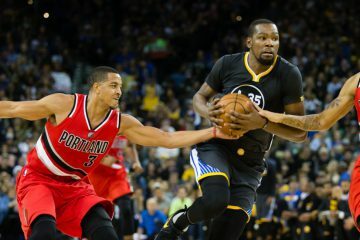 *Statistical support for this piece provided by NBA.com. Great article. With Rush, a healthier and happy Bogut, and Lee coming back on top of the growth of the three rookies alongside Thompson and Curry, the Warriors will truly be a team to be reckoned with. Bogut is the opposite of Monta Ellis: unspectacular, unselfish, team-oriented, and far more valuable than his stats would indicate to an unseasoned eye. I am incredibly happy to have Bogut (and not have Ellis. 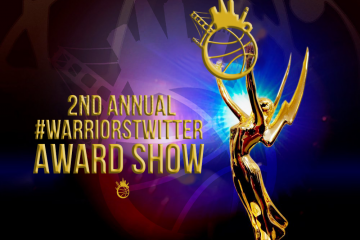 I do think, however, that the Warriors have a very good chance of taking this series. So nice to finally have a real big man in Golden State! We’ve dreamed and argued about it for decades and it appears that this management and ownership has found a way to maintain our small ball tradition but pair it with a traditional center. Great write-up. During this series, you keep seeing various players get hot and they get all the limelight during that game, but consistently, behind it all has been Bogut’s solid play. He’s just a monster on defense. He’s also kind of a badass, which doesn’t hurt either, despite some stupid fouls.